The Glasshouse Eatery - a casual space for all event types. The cool and casual scandi-inspired corner of The Glasshouse, The Eatery is ideal for indoor-outdoor occasions. 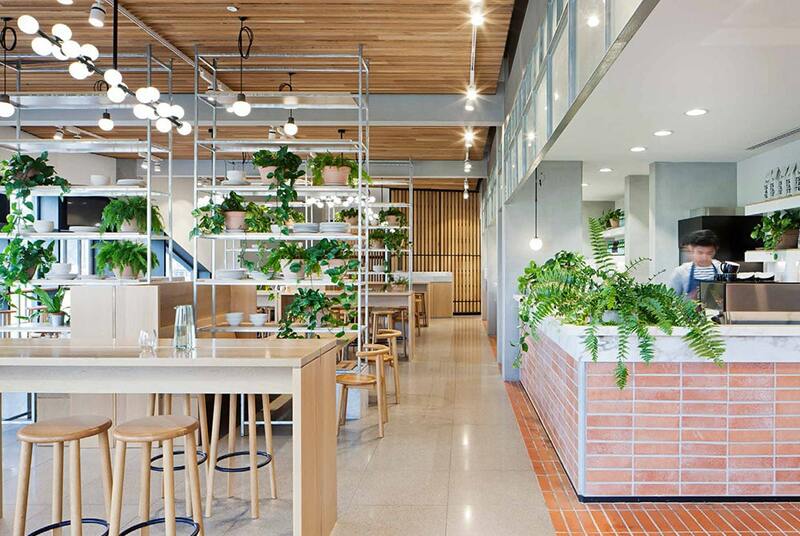 It is a relaxed space soaked in natural light and overflowing with green foliage, alongside custom-made timber and marble features. 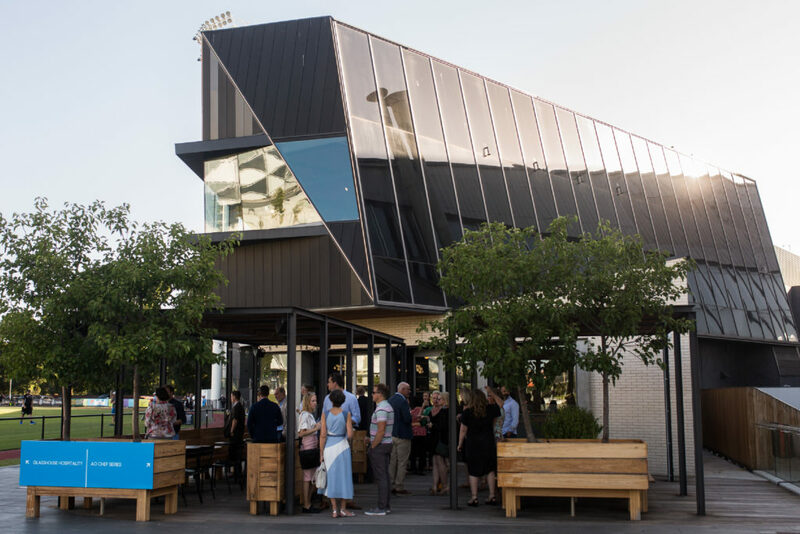 The expansive outdoor deck is the place to be – day or night – to enjoy a drink and immerse yourself in the 180 degree panoramic views of Melbourne’s Olympic Precinct. With the smooth shapes and cool angles of the stylish interior by award winning designers, Hecker Guthrie, you’re in for a visual feast. Celebrate with cocktails and canapés, with capacity for 100 people standing, or enjoy a seated dinner with space for 60 guests. 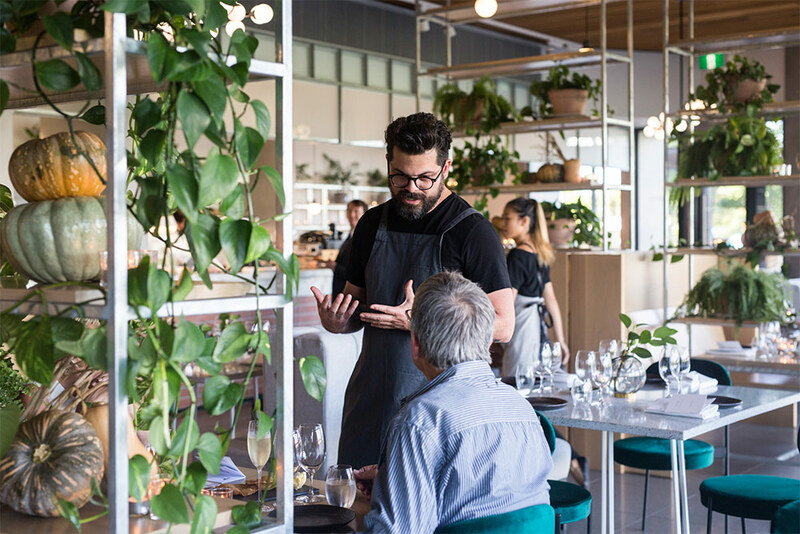 Its exceptional menu fuelled by the good taste of The Big Group, makes the The Eatery a known and loved destination for many Melburnian foodies. Sit back, relax and enjoy the great food in-house or grab a quick bite to go from 7am to 3pm weekdays. With views as enticing as the food, indoor and outdoor spaces and a welcoming ambience; The Eatery is a relaxed, stylish space suitable for any occasion.